For all you GTA-holics who were anxiously waiting to get their hands on the much anticipated iFruit app for Android would finally be able to do so from today. 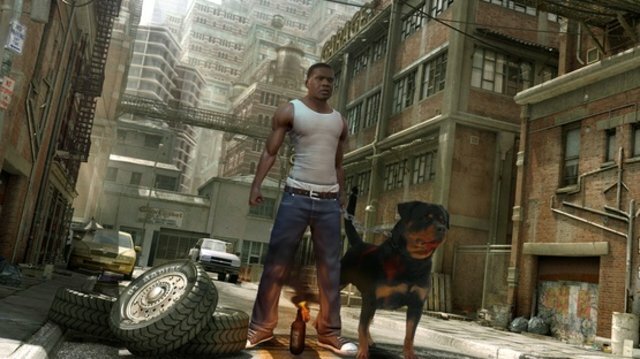 Rockstar initially launched Grand Theft Auto 5 on the PS3 and Xbox 360 with the promise that user’s would be able to customize their cars and take care of in-game pet dog named “Chop” with a mobile app, but we (Android users) were left quite dissatisfied when it was announced that the app was initially available only on iOS with the Android version to be launched soon after. The Los Santos Customs app offers players the freedom to create their ultimate vehicle in Grand Theft Auto V from anywhere. At the bar, on the beach, on the toilet. This is the future, we’re almost sure of it. You can even create and reserve custom license plates for both Grand Theft Auto V and Grand Theft Auto Online order your personalized plates before they’re gone! Depth of content, high production values, defecation. It’s the app that has it all. Because who doesn’t love tending to a virtual pet? Chop is Franklin’s canine sidekick in Grand Theft Auto V. Look after him well in the “Chop the Dog” app and you will reap the benefits when playing as Franklin in Grand Theft Auto V. Pet him, feed and water him, play fetch and tug-of-war, teach him tricks. Too much or too little of an activity, however, will cause Chop to become unhappy, and nobody likes an unhappy Rottweiler. Take Chop on walks to give him a chance to work off last night’s steak and Piswasser and to mark his turf in the hood defending his ladies and at the same time fending off gang members. For those who still haven’t played the game can make full utilization of this handy little app and for those who have already finished it can still give it a try just for fun. Head on over to the Google Play Store and do give it a try. Happy gaming !! Google Recruiting Analysts - Want to Join?